Figure 22.1 Critical system linkages between energy, land, water and nonrenew able minerals. • Purchasing power parity for energy services. • Accessibility of and ability to develop energy resources fully, regardless of geopolitical and/or social constraints. Our analysis begins with a description of stocks and flows of the energy resources currently in use and their recent history. (e.g. 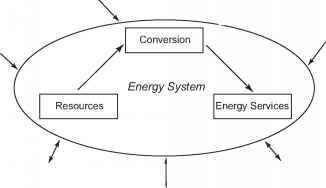 demand for energy extraction/conversion) Figure 22.2 Energy system impacts and constraints. and uranium. In 1945, the entire human population consumed about 50 ex-ajoules (EJ, or 1018 joules) or 1300 million tons oil equivalent (MTOE) of energy. By 2007, worldwide energy consumption had increased to approximately 460 EJ (11,099 MTOE). About 34% of all energy used was derived from oil or other petroleum liquids. Coal contributed approximately 26% of the primary energy supply and natural gas almost 21%. Nuclear reactors generated more than 6% and hydroelectric installations a little more than 2% of global energy. Together, geothermal, solar, and wind installations accounted for less than 1% of global energy consumption. The remaining energy was derived from other renewable sources and waste. Here, we briefly summarize the current estimates of remaining reserves, as Gautier et al. (this volume) provides an extensive discussion of trends and reserve estimates of the key nonrenewable energy resources. With a few interruptions for warfare, economic depression, and political upheaval, global oil production has increased steadily since the 1860s. Approximately 180 EJ or 30 billion barrels of oil (BBO) were produced during 2007 from wells in thousands of fields in more than 100 countries. As of January 2008, the International Energy Agency estimated world reserves, excluding most heavy oil sands, to be 1332 BBO (about 8150 EJ) (IEA 2008c). All sources agree that proved reserves have increased in lockstep with rising production. For example, in January 1996, when world proved reserves were approximately 891 BBO (about 5450 EJ), annual world production was a little over 26 billion barrels (about 160 EJ). Between January 1996 and January 2008, approximately 300 BBO (about 1835 EJ) were produced, while reported proved reserves increased by nearly 350 BBO (about 2140 EJ); this suggests that almost 650 BBO (about 3980 EJ) were added to reserves during the twelve-year period. Reserves increase through two processes: (a) new-field discoveries and (b) growth of reserves in existing fields. Reserve growth refers to increases in successive estimates of oil, gas, or natural gas liquids in discovered fields, usually in fields that are already in production. In addition, significant potential exists for additions to global reserves from unconventional categories, such as heavy oil, oil sands, and oil shales. Heavy oil resources exist in many basins worldwide, but their potential contribution to world oil reserves has not been systematically evaluated. Using BP statistics, in 2007 more than about 100 EJ or 2940 billion cubic meters (bcm) of natural gas were produced worldwide. This amount is up from 1973 levels of 1227 bcm (about 42 EJ). At the end of 1987, estimated world proved reserves of natural gas were approximately 107 trillion cubic meters (tcm) (about 3700 EJ). As of 1997, reserves had risen to approximately 146 tcm (about 5040 EJ), and at the end of 2007, world proved reserves of natural gas were estimated at approximately 177 tcm (about 6120 EJ). Exploration for natural gas has not been pursued with nearly the level of investment and intensity nor for nearly as long as has oil, and it is considered to be at a much lower level of exploitation. The median estimate of total gas (i.e., the sum of associated/dissolved and nonassociated gas) was that 122.6 tcm (about 4240 EJ) might be found (USGS 2000). In addition, the USGS study estimated that between 95 and 378 billion barrels of natural gas liquids (between about 386 EJ and 1536 EJ) would be discovered along with the associated/dissolved and nonassociated gas. In addition to the conventional resources, extremely large amounts of natural gas are known to exist in various so-called nonconventional reservoirs (i.e., gas in coal beds, in extremely low-permeability sandstones, and in shales). Beyond these resources are gas hydrates, which are believed to contain the largest part of organic carbon on Earth. Recent research indicates that these resources could become productive over the next decade or two. In 2007, the combustion of coal and peat accounted for 26% of total world primary energy supply. In recent years, the rate of coal production has been expanding more rapidly than any other major energy source. Between 2000 and 2005, world coal production increased from about 95.4 EJ (90.4 Quadrillion BTU [Quads]) to more than 129 EJ (122.2 Quads), and the rate of increase is steepening. Global proved reserves of coal remain very large compared to rates of production. According to the World Energy Council, as of 2002, global proved reserves of all types of coal exceeded 900 billion tons (about 19000 EJ) (WEC 2007a). These reserve numbers are based on the numbers reported by countries and are not as thoroughly documented or independently scrutinized, as are oil or gas reserves. In 2006, nuclear power constituted approximately 6.2% of worldwide total primary energy supply, more than 84% of which was generated in the developed countries of the OECD. Like coal, uranium is not considered in danger of geological exhaustion. Rather, the demand for uranium and the related ore pricing are the dominant forces that control uranium production rates. Recently, rises in uranium prices with the development of additional nuclear generation facilities have resulted in increasing prices for uranium. Renewable energy resources are those that can be produced from the direct or indirect energy of the Sun or Earth: solar radiation, wind energy, biomass, geothermal energy, ocean energy, and hydropower. In theory, there is more than enough renewable energy to provide for human needs. The solar radiation that falls on the Earth's land surface each year is equivalent to ca. 10,000 times the annual global primary energy use. In practice, renewable energy makes up about 7% of total primary energy use (not including traditional biomass burning) and 18% of global electricity use today. Hydropower accounts for 16% of electric generation, whereas together wind, solar, and geothermal contribute another 1%. Biomass and waste energy account for about 10% of primary energy use; however, if traditional unsustainable biomass burning is not included, then biomass and waste energy accounts for only 4% (IEA 2008g). Scenarios developed by IEA suggest a growing role for renewable energy over the next decades (IEA 2008g). Fossil resources are defined in terms of reserves or energy stocks, which can be depleted over time (for a description of the well-established conventions for defining fossil resources, see Gautier, this volume). In contrast, renewable energy resources are defined in terms of energy flows (e.g., energy production per year). Three types of renewable energy potential are commonly used: (a) theoretical potential, defined as the theoretical maximum energy flow rate; (b) technical potential, which is the energy that can be captured using a certain set of technology and engineering feasibility assumptions; and (c) economic potential, which refers to the amount of renewable resources that could be recovered and converted at an economically viable cost subject to environmental and social constraints. In addition, environmental and societal constraints can limit the potential for renewable energy deployment. When measured in physical terms, Earth's renewable resources far exceed society's current and projected needs for primary energy. However, renewables do not generally match human needs due to a combination of intermittency, low energy density, or inconvenient locations. 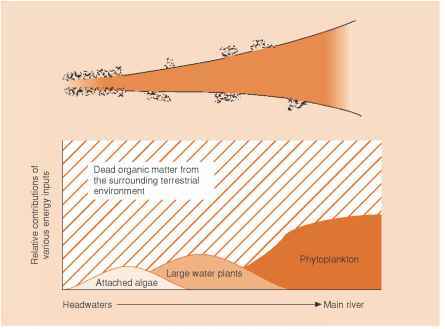 Addressing these challenges may result in land use conflicts, other environmental impacts, and high upfront costs (Jaccard 2005). The global wind resource has been assessed in several recent reports (Archer and Jacobson 2005; De Vries et al. 2007; Grubb and Meyer 1993; GWEC 2006; Hoogwijk et al. 2004; UNDP 2000, 2004; WEC 2007a). The physical wind resource can be defined as the theoretical maximum energy carried by the wind. In principle, this can be estimated based on meteorological and geographic data: the time-varying distribution of wind speeds (including seasonal effects), the terrain, height above ground, elevation, and location. It has been estimated that 0.25% of the solar radiation energy reaching the lower atmosphere is transformed into wind (Grubb and Meyer 1993), an amount many times the current level of human energy consumption. Of course, only a small fraction of this energy can be captured because of technical, environmental, and societal constraints. Technical constraints include wind turbine efficiency, height, and losses due to airflow interference by adjacent turbines. Resource, environmental, and social constraints may restrict the sites of large wind turbines within cities, forests, or inaccessible mountain areas due to factors such as visual impact, noise, conflicting land uses, wildlife impact, or inaccessibility. The amount of electrical power that can be generated from wind resources is calculated based on a wind velocity profile, turbine conversion efficiency, size, and hub height. Average annual capacity factors of up to 30-40% can be attained in high wind locations, such as ridges and offshore. Gross wind power potential is the electrical power that might be generated, if no exclusions are imposed on siting turbines. Practical wind power potential imposes "first-order" constraints (no turbines in cities, forests, inaccessible mountain areas), and the "second-order" potential adds constraints for visual, environmental, and societal reasons. Gross wind power potential (without exclusions) is estimated at 300,000600,000 TWh/yr of electricity production. This is many times the current global electricity use of 19,000 TWh/yr (IEA 2008c, g) or the projected level of use in the year 2050 of 40,000-50,000 TWh/yr. With exclusions, practical wind power potential is estimated to be about 70,000-410,000 TWh/yr and economic potential at about 19,000-25,000 TWh/ yr (UNDP 2000; Jaccard 2005). These numbers suggest that wind power could play a major role in a future energy system. In addition, system integration issues could further limit how much wind power could be introduced onto the electricity grid. Often, the best wind resources are located far from a population, so that transmission capacity is a constraint. Scenario studies that account for these issues suggest that 2-12% of future electricity in 2050 could be economically produced from wind power and integrated into the grid (GWEC 2006; IEA 2008c, g). Currently, biomass energy is used for heating, electricity generation, and production of liquid biofuels (e.g., ethanol and biodiesel). In 2006, the global use of biomass energy was about 50 EJ per year (IEA 2008c). About 60% of biomass energy is consumed in developing countries as traditional, noncommercial fuels (e.g., fuel wood, crop residues, dung) for home heating and cooking. Modern biomass conversion (for process heat and electricity and fuels) accounts for 19 EJ/yr. Biomass resources have been defined in various ways (Hoogwijk et al. 2005). A theoretical upper limit for global biomass production can be estimated, if all land were used to grow energy crops. This has been estimated at 3500 EJ/yr, far in excess of current or projected global energy use in 2050. In practice, there are many competing uses for land, so that biomass production would be much less than the theoretical potential. Geographic potential estimates the resource from growing biomass on available land, under constraints. Technical potential for bioenergy production accounts for conversion losses in producing electricity or fuels from biomass feedstocks. The economically viable potential for biomass is found by developing regional supply curves for biomass. Finally, policies and institutional constraints can impact the use of biomass (Hoogwijk et al. 2005). Concerns about the sustainability of biomass production further constrain its use. In a recent review, the IEA (2008c) estimated that the global potential for sustainable primary biomass energy production was 200-400 EJ per year. Several issues contribute to the uncertainty in long-term contributions of biomass to the energy system. These include competition for water resources, environmental impacts from fertilizer and pesticide use for energy crops, biodiversity effects of energy crops, and competition for land between bioen-ergy crops and feed and food production. Hydroelectricity is currently the largest renewable source for electricity generation, accounting for about 3035 TWh/yr or 16% of global electricity production. Hydroelectricity can be generated using large dams, small hydropower plants, or pumped water storage. The global hydropower resource has been assessed in several recent reports (Archer and Jacobson 2005; deVries et al. 2007; IEA 2008c; UNDP 2000, 2004; WEC 2007a). As with other renewable energy resources, several definitions exist. Theoretical hydropower resource is defined as the theoretical maximum energy carried by water runoff on land. The world's annual water balance can be estimated, yielding a runoff from precipitation over land of 47,000 km3 of water per year. In theory, the energy in this running water could be harnessed for hydroelectric power production. Taking into account the geographic elevation, magnitude of precipitation, and topography, the global theoretical hydropower potential has been estimated to be about 16,000-40,000 TWh of electricity per year (UNDP 2000). Much of the theoretical potential cannot be captured because of inaccessibility to the flow and other siting issues. The global technical potential has been estimated at up to 14,000 TWh/yr (IEA 2008c), although there is still uncertainty in the economic potential due to the many siting issues. Historically, about 60-70% of technical hydropower resources have been developed in industrialized regions (e.g., Europe and the United States). Using this as a guide, the global economic potential has been estimated at 6000-9000 TWh/yr (UNDP 2000; IEA 2008c, g). Hydropower resources are distributed unevenly throughout the world. Much of the unrealized potential here lies in developing countries in Latin America, Asia, and Africa. According to recent IEA scenarios, hydropower could grow by a factor of 1.7 by 2050 (IEA 2008g), mostly in developing countries. Two-thirds of the Earth's surface is covered by water. Almost 97% of this water fills the oceans and seas, whereas only 0.0002% flows in rivers (Gleick 1996). Although conventional hydropower has been widely tapped across the globe, ocean energy (i.e., the kinetic energy generated by waves, tidal currents, and river fl ows, as well as the thermal energy stored in ocean temperature gradients) has been largely underexploited. The technologies to harness these energy sources are still in various stages of development, with a handful undergoing sea trials and nearing full-scale deployment. All face, however, significant challenges, in particular, operating these devices offshore under harsh environmental conditions, intermittency, and reliability in connecting the devices to onshore electrical grids. In addition, the surface footprint of wave device arrays may affect shipping, while tidal current devices could impact sea life. The total wave resource meeting the world's shorelines in the form of ocean waves is estimated at about 23,600-80,000 TWh/yr (IEA 2006a; Jaccard 2005; WEC 2007a), of which only about 28 TWh/yr is potentially economically recoverable (Jaccard 2005; WEC 2007a). Several different types of wave energy conversion devices are being tested, with a unit capacity of less than 1 MW, including oscillating water columns, overtopping devices, point absorbers, terminators, and attenuators. The average capacity factors are expected to range between 21-25% (Jacobson 2008). The global tidal power potential in sites with good power densities is estimated at between 800-7000 TWh/yr (IEA 2006a; Jacobson 2005), of which up to 180TWh/yr may be economically converted into electricity (Jacobson 2005). Unlike waves, which have limited predictability, tidal patterns are constant, with average capacity factors of 20-35%. Currently, several in-stream tidal flow conversion devices are undergoing various stages of testing and have a unit capacity on the order of 1 MW or less. These include underwater horizontal and vertical axis turbines, venturis, and oscillatory devices. Tidal energy is able to leverage a signifi cant amount of research from the wind industry, reflected in a narrow range of technical approaches being pursued, whereas for wave power it is still not clear what defines a winning technology, with a large number of concepts being pursued in parallel. Ocean thermal energy conversion (OTEC) is by far the largest ocean energy resource, estimated at up to 10,000 TWh/yr (IEA 2006a), and harnesses the constant temperature differential of up to about 20°-23°C between tropical surface water and deep-ocean water. However, OTEC is challenged by mismatch between resource location and load, low conversion efficiencies, and the need for deep-water deployment of large amounts of hardware. Only small prototypes, 50 kWe or less, have thus far been demonstrated. Larger systems, 10-100 MW, are being targeted if OTEC is to be commercialized. The possible benefits of integrating OTEC with other uses (e.g., aquaculture, air-conditioning, and desalination) are also being studied. Salinity gradient technology uses the osmotic pressure differential of sea-water and freshwater, which represents an equivalent of a 240 m hydraulic head. The global primary power potential is defined roughly by the volume of freshwater entering the world's oceans every year and is estimated at about 2000 TWh/yr (IEA 2006a). However, salinity power technologies are still in very early R&D stages and will likely have limited potential in the foreseeable future. The global installed capacity from all of these emerging ocean-energy technologies is at present less than 5 MW (less than 1 TWh/yr, mostly from tidal barrages), largely from engineering prototypes and demonstration systems. Significant numbers of larger installations greater than 100 MW are not expected before 2030. IEA expects 14 TWh/yr to be generated by 2030 (IEA WEO 2008c). Geothermal energy projects convert the energy contained in hot rock into electricity, process heat, or space heating and/or cooling by using water to absorb heat from the rock and transport it to the Earth's surface. In conventional (hydrothermal) systems, water from high-temperature (>450°F) reservoirs is partially flashed to steam, and heat is converted to mechanical energy by passing steam through low-pressure steam turbines. In a few large reservoirs, accounting for 29% of production worldwide, dry steam is produced directly from the reservoir and separation is unnecessary. In lower temperature reservoirs, or in some cases to utilize the heat from separated brine, power is generated using a binary system, transferring the heat through a heat exchanger to a secondary working fluid to drive a turbine. This accounts for 10% of worldwide geothermal power generation. Geothermal plants are typically operated as baseload facilities with high capacity factors around 90%, and low, or in some cases zero, operational greenhouse gas emissions. Resource temperature has a strong influence on the conversion efficiency of heat to electricity such that the conversion efficiency increases from less than 5% at 212°F to more than 25% at 570°F (Armstead 1987). It is estimated that 1013 EJ (2.8 x 1015 TWh) of heat energy are stored in Earth and the global rate of heat loss is estimated at 1000 EJ/yr (2.8 x 105 TWh/yr), of which 70% is lost from the oceans and 30% from the continents (Rybach et al. 2000; Pollack et al. 1993). By comparison, the total primary energy consumed by the world is roughly 491 EJ/yr (1.4 x 105 TWh/yr) (IEA 2008c). Estimates for total worldwide, technically recoverable geothermal energy for power and heat production range from 500-5000 EJ/yr (1.4 x 105 - 1.4 x 106 TWh/yr). Anywhere from 2-20 EJ/yr (556-5556 TWh/yr) may be economically recoverable (Jacobson 2008; Jaccard 2005). EGS-CO2 systems have the potential to extract more heat from reservoir rocks, due to higher fluid mobility, and to reduce pumping losses that result from CO2 hot/cold density differences. In addition, any CO2 losses to formation could be considered as sequestration. Aqueous CO2 solutions require corrosion control. Mexico (11%), Indonesia (9%), Italy (9%), Japan (6%), New Zealand (5%), and Iceland (2%) (Bertani 2005). Approximately 75% of the worldwide capacity is produced from 20 sites, which have more than 100 MWe installed. The worldwide electrical power output from geothermal sources increased from 0.0094 EJ/yr (2.6 TWh/yr) in 1960 to 0.22 EJ/yr (60 TWh/yr) in 2006, or about 0.3% of the world's electrical output (IEA 2008g), as the installed geothermal plant capacity increased from 386 MW in 1960 to over 10,000 MW in 2006 (IEA 2008g). As more fields, both conventional and unconventional, are exploited, geothermal power generation is expected to triple by 2030 (Appendix A in IEA 2008g). Direct geothermal heat for space heating accounted for over 0.1 EJth in 2006, with one-third coming from deep bore holes, and the rest from domestic ground source heat pumps. Direct use is expected to reach 0.8 EJ by 2030 (IEA 2008g). Although Earth intercepts only a minute fraction (~ 5 x 10-10) of the total power generated by the Sun, solar energy is the most abundant energy resource available to us (WEC 2007a). About 60% of this incoming radiation, or 3,900,000 EJ (1.1 x 109 TWh/yr), actually reaches the Earth's surface. Although this equates to about 1000 W/m2, once weather (e.g., cloud cover, humidity), diurnal, and seasonal variations are taken into account, the average solar irradi-ance is about 170 W/m2 (WEC 2007a). In one hour, approximately the same amount of solar energy hits the Earth's surface as all the energy consumed by human activities during a whole year, based on 2006 data (IEA 2008g). Indirectly, the Sun is the source of biomass-derived, wind, and ocean energy. Commercially available applications of direct solar energy include passive uses (e.g., space heating, cooling via reflection, day lighting), hot water heating and cooling, process steam generation, and electricity production. The technically recoverable potential of direct solar energy ranges from 0.4 x 106 to 16 x 106 TWh/yr (Jaccard 2005; Jacobson 2008). This potential accounts for variable levels of insolation around the world, varying ability of systems to capture all the available light to service and avoid shading of solar modules, and other factors, such as dust which reduces collector efficiency. Other direct solar applications, still in very early stages of R&D, might include photoelectrolysis of water to hydrogen and photoreduction of CO2 (and H2O) into methanol and other liquid fuels. People have passively harnessed solar heat since ancient times. Only recently, however, has there been a more concerted effort to integrate passive techniques into building designs. Active solar heating is, however, a relatively mature technology and generally consists of passing a heat transfer fluid through a series of pipes exposed to the Sun and then storing the thermal energy in a tank to provide hot water on demand. Because of limited daylight hours, backup gas or electric heating is typically needed. Not only is direct solar heating the most efficient use of solar energy, it is also the most common, with over 128 GWth of global installed capacity, mainly in China, generating 0.08 TWhth/yr in 2006 (IEA 2008e). Non-concentrating solar thermal collectors consist of unglazed and glazed flat panels as well as evacuated tubes that can heat water, glycol, air, or other liquids to about 100°C or slightly higher. When coupled to an absorption chiller or ejector, these systems can provide solar cooling. Concentrating solar thermal (power) systems (CSP) involve collecting direct normal radiation with mirrors and then focusing this high temperature beam onto a heat transfer fluid, such as water, organic fluids, mineral oils, or even molten salts. Distributed collector systems (e.g., linear Fresnel reflectors and parabolic troughs) can attain temperatures up to 400°C. Heliostats that focus light onto central receiver towers can reach temperatures up to 700°C or higher. The hot working fluid can then be used to provide industrial or commercial process heat or refrigeration, or can generate electricity by driving a steam turbine. Advanced central receiver systems that heat air to fire gas turbines for power are in the early stages of R&D. Parabolic dishes, which focus sunlight to heat hydrogen or helium to drive a heat engine (e.g., Stirling engine) to produce power, is another example of a CSP technology. Photovoltaic (PV) systems consist of arrays of cells made of semiconductor materials that can convert photons from both incident normal and diffuse/ reflected light into direct electrical current. These materials consist mostly of mono- or polycrystalline silicon. However, thin film devices made of amorphous and micro-crystalline silicon, cadmium telluride, and copper indium gallium selenide are now starting to penetrate the market. PV modules can be mounted onto rooftops, integrated into building shells, or installed in ground-based arrays. Concentrating PV systems use lenses or other optical focusing techniques to focus light onto gallium arsenide cells to generate electricity. Next generation PV devices, which use nanotechnology, organic materials, and other advanced concepts, are currently in early stage R&D. The land use area footprint for PV or CSP generation systems ranges from 1-4 ha/MWe (~.2-.8 ha/MWth for thermal systems), depending on the collection technology, whether or not they track the Sun,3 and whether on-site thermal energy storage is used. The average annual capacity factor for solar varies from 15-35% depending on latitude, cloudiness, tilt and/or tracking, and collector efficiency. Concentrating solar systems require tracking whereas for flat panel PV systems, it is optional. Single- or dual-axis tracking will increase PV module output at the expense of higher area footprint to avoid shading between modules. base for PV and CSP are, respectively, 3 x 106 TWh/yr and 1000-8000 TWh/yr (Jaccard 2005; Jacobson 2008). To assess energy sustainability, we use retrospective and prospective analysis methods. Both are necessary. Prospective assessment is essential because sustainability is inherently concerned with the future. However, prospective analysis is also inherently speculative. Retrospective analysis is therefore needed to serve as a reality check to reveal the path that the world has actually taken. The retrospective analysis method looks at past behavior to appraise effects on the potential well-being of future generations over a specific period of time: Have we decreased the potential well-being of future generations over, for example, the last ten years? Analysis is based on historical changes in (a) quantities of fossil resources by type, (b) cumulative flows by type, or (c) quantity of renewable energy by type, as well as (d) changes in energy efficiency of conversion processes, (e) energy efficiency of energy services (end uses), and (f) conversion efficiency of source to energy conversion for renewable energy sources by type. From these we calculate the change in the ability to produce energy services using current patterns of resource discovery, expansion (technology), use, and energy services demand. The prospective method analyzes where we are going by using energy scenarios up to 2050 to define alternative, yet plausible futures of services demand, efficiencies of energy technologies, and resources. We can calculate changes in energy resource availability based on resource flows and resource expansion, and assess our ability to produce energy services using conversion and end-use efficiencies. Key data on reserves, resources, production, and their changes over time are listed in Table 22.1. Table 22.1 Reserves and production of energy resources. All numbers are from IEA (2008c), unless otherwise noted. IEA average conversion factors assume: 1 MTOE (million tonnes of oil equivalent) = 1.98 x 106 tonnes coal = 0.0209 106BOEPD (barrels of oil equivalent per day) = 1.21 BCM gas (billion cubic meters) =1.21 x 10~3 TCM gas (trillion cubic meters).